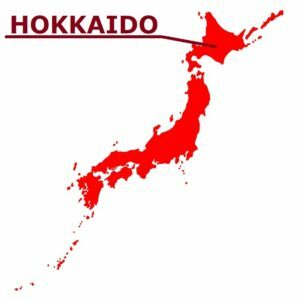 Shakotan Peninsula registered in Hokkaido heritage. 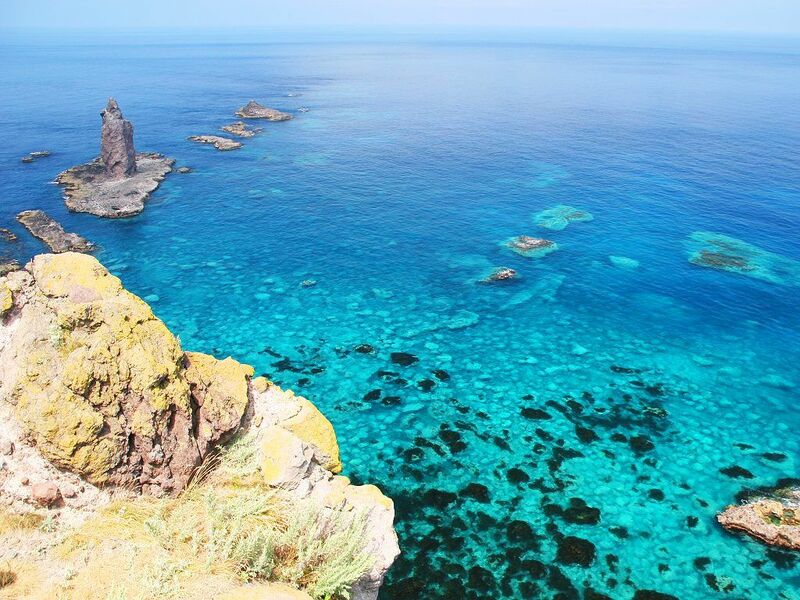 The beautiful Shakotan ocean called “Shakotan Blue” is included in Niseko Shakotan Otaru Quasi-National Park and is designated as marine park only in Hokkaido. National Route 229 which runs along the shoreline of Shakotan Peninsula is a truly spectacular road where the navy blue sea and cliffs and rocks are attractive. There are plenty of sightseeing spots and gourmet restaurants, such as legendary cape and specialty seaweed sea urchin. 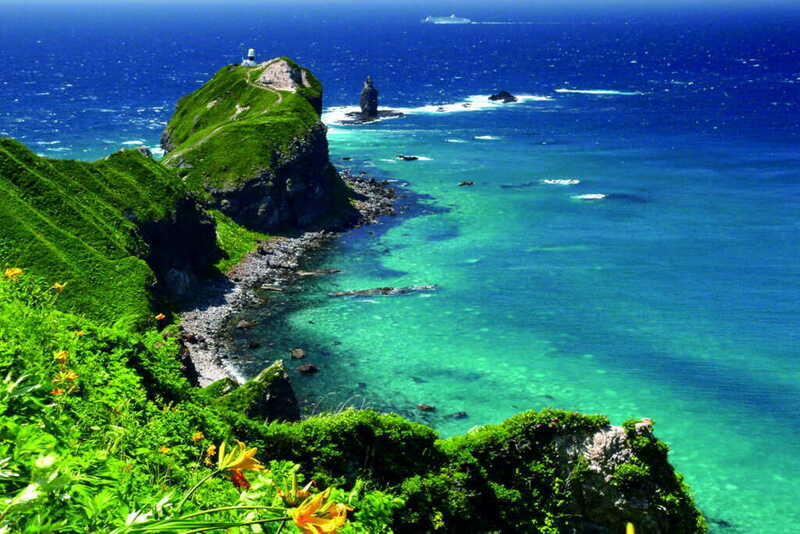 “Shimamui coast” which is also chosen as one of the 100 beaches of Japan. From the parking lot to the observation deck, go through a narrow and dark pedestrian tunnel called “Shimamui tunnel”. A spectacular scene that will unexpectedly raise your voice will jump into your eyes as you pass through the tunnel. The sea of Shakotan with high transparency mixed with dark blue and emerald green like a gradation. The “Shakotan Blue” and the rough cliffs, the scenery weaving with the rocks is a beauty that loses words. From the observation deck you can get off on foot to the coast and you can enjoy the sea of Shakotan Blue at hand. 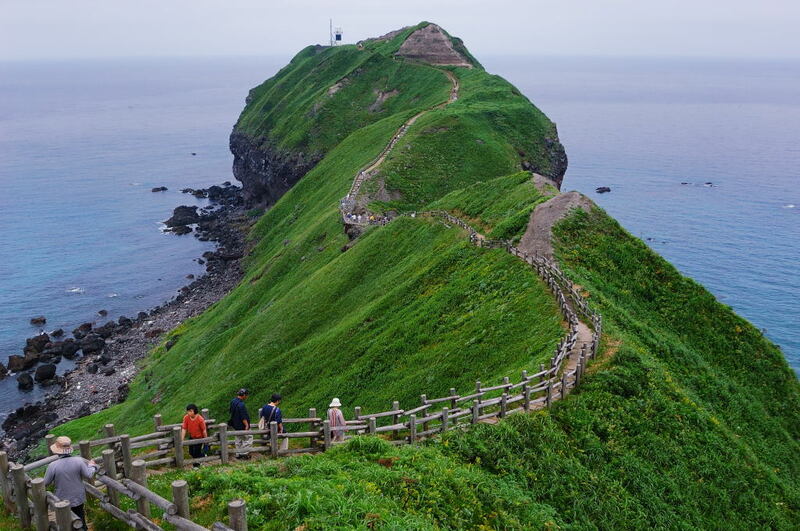 From Shimamui coast, go further west to the coastline and you will reach the tourist attraction “Kamui Misaki” (Cape Kamui) representing Shakotan Peninsula. Cape Kamui is a unique landscape that dynamically protrudes in the ocean of Shakotan Blue. It is a cape that feels sanctity like its name, as it was a watershed area where “only God entered”. You can walk the promenade leading from the parking lot to the tip of the cape. The promenade is called “Small Path of Charenka” and the tip of the cape is about 770 meters, it takes about 20 to 30 minutes. Although it is well maintained, it is necessary to walk a high place along the cliff wall and the ridge to the tip of the cape, the up and down is also intense and the wind is strong, so those who are not confident in physical strength and small children are cautious. However, the scenery which spreads further beyond that is the beauty which can be tasted only with this Cape Kamui. Expanded scenery spreading together the cliff line of cliffs and Shikotan Blue, which is a strange rock that can be described as the beauty of nature. The recommended time is early summer. Ezokanzou blooms in a slope across the boardwalk. 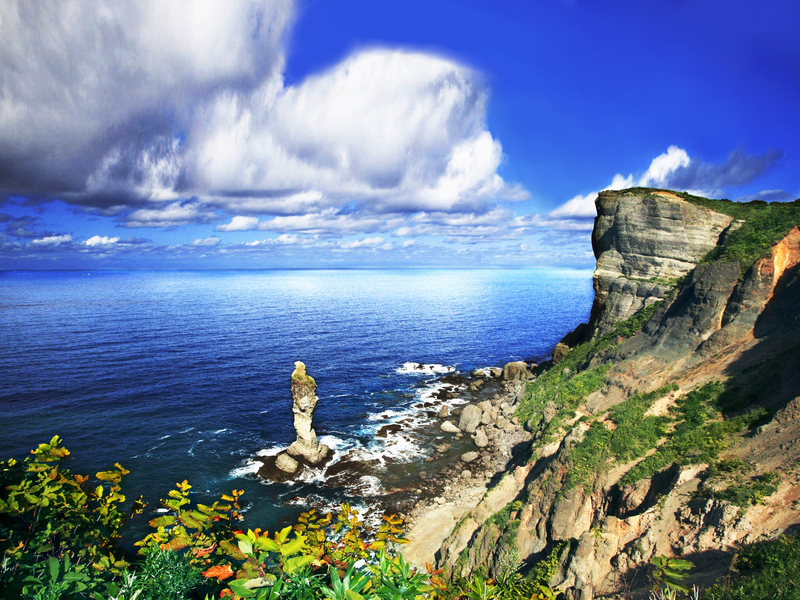 Shakotan　peninsular is well-known as its most beautiful sea in Hokkaido, the spot being proud of its first-rate scenery in that is Kamui Misaki (Cape Kamui). It is approximately 800m from the parking lot to the tip of the Cape Kamui stretching out into the sea, and the promenade where the magnificent view of Sea of Japan spreads through on both sides. When you trace “the path of Charenka”, you can see the round horizon of 300 degrees in approximately 20 minutes. There is neither the restroom nor the vending machine ahead of the parking lot. You can go in around 20 minutes if you walk silently from the parking lot to the tip of the cape, but it takes 30 – 40 minutes to walk there one way if you photograph it, enjoy scenery, and while taking a break on the way. There are some legends concerning MINAMOTO no Yoshitsune (Ushiwaka maru, Shanao) with this ground. Yoshitsune, fled secretly from Oshu, stayed with the head of Biratori. Charenka, the daughter of the head of Biratori, came to strongly love Yoshitsune. However, Yoshitsune left towards the north, CharenkaI followed it, and arrived to the Cape Kamui, too. But, the party of Yoshitsune already sailed, even if Charenka cried aloud, her voice was drowned out by the strong wind. Charenka , who is in deep sorrow, left the words of the grudge saying “I’m gonna sink the ship which passing through here with carrying woman”, and then she threw herself in the sea. It is Kamui-Iwa (Rock of Kamui) to be handed down that the figure turned to a rock. After that, the Cape Kamui has ever become the place where women are prohibited from entering because it was said to overturn definitely, when the ship with woman is going to pass this offing.